STAT Ticket: Put more “Help” in your Help Desk. We make it one-click easy to report incidents. STAT Ticket automatically opens the ticket and routes the request to the right person. SmartSupply Health is an advanced supply chain offering built to address the unique requirements of healthcare and life sciences applications. Your single source for hardware and software. Winola Lake Health IT partners with the leading providers of healthcare hardware and software. Let us assemble the right combination for you. Reliable repair—at your place or ours. Mobility Medic Cart Services manages your carts, so they’re ready when and where you need them—from preventive maintenance to power supplies. Put your IT in our hands. Healthcare professionals understand the critical importance of accurate diagnoses and rapid response. Expect the same from your IT. Winola Lake Health IT focuses solely on this industry, so we bring years of extensive experience and in-depth knowledge. From identifying your needs to deploying, monitoring, and maintaining your end-to-end infrastructure, trust Winola Lake Health IT to keep your IT performing at peak. Quality healthcare technology perfects patient care. At Winola Lake Health IT, we are committed to providing point of care solutions that increase efficiency and earn patient trust. Their lives, your expertise, our solutions. 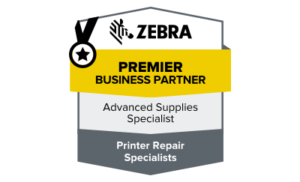 Our staff at Winola Lake are now certified to sell & preform all on-site servicing for Zebra parts and printers. We also stock a variety of Zebra parts, making it easy for us to ship to you same day! In addition, when you purchase – and continue to purchase – your media from Winola Lake, Zebra will provide FREE printer heads for the life of your printer. Don’t waste time or money buying your printers or media elsewhere. Contact us today for more information. Explore Winola Lake Health IT’s solutions. Winola Lake Health IT has innovative solutions to fulfill all your healthcare information technology needs. Our systems make hospitals, long-term care facilities and physicians’ offices more efficient, creating a safer and more pleasant environment for patients. Winola Lake Health IT’s team of healthcare technology veterans is ready to help your organization as it faces challenges like Stage 7, ARRA, EHR and HIPAA that touch every department. Your staff is educated, trained, and highly skilled, but they still rely on technology to do their jobs to the best of their ability. We customize solution that meet your objectives and fit your organization and processes. Contact us to learn how you can get more from your healthcare IT.